It's no secret that we (and just about every It girl) have an affinity for the rubber sole right now. Sneakers just have that way of making anything you're wearing—whether that's jeans and a tee or a more sophisticated skirt-and-blouse combo—instantly cooler. Right? 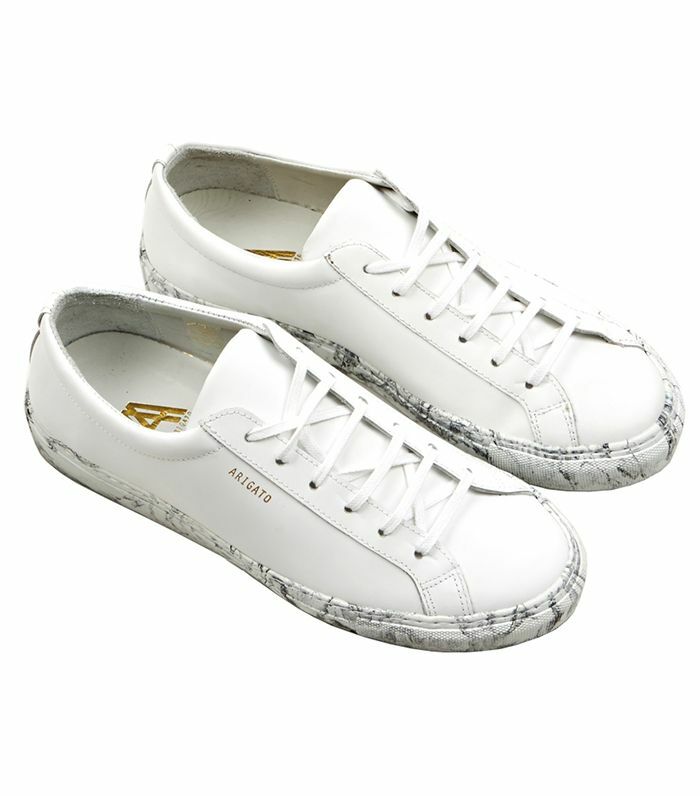 And while we love our standbys, like the Adidas Stan Smiths, there's a new brand ready to kick your style up a notch. Introducing Swedish shoe label Axel Arigato. The brand initially launched with men's, but given the popularity (and women ordering styles in the smallest size possible), the line just launched a women's offering, featuring slip-ons and lace-ups with unique details like scale-embossed suede and printed pony hair. We have a feeling we'll spot a slew of It girls in these come NYFW. Just sayin'. Scroll below to shop a few of our favourite pairs—all under $200.